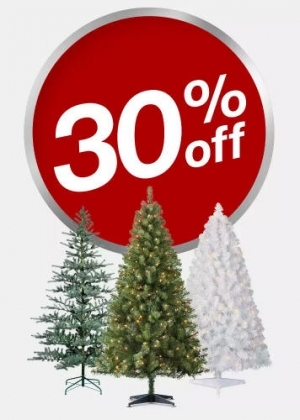 Target 現在 Christmas Trees聖誕樹 特價30% off, 免運費. 用 RedCard Member 可再extra 5% off! « [Amazon折扣碼] 可調高度電腦桌, 自黏肥皂架, 運動健身帶, 自拍桿 額外折扣!